AP Collegiate Education Employees Transfer Guidelines G.O Rt.No.404 Dated 18.08.2015 is released. AP Higher Education department has released G.O Rt.No.404 Dated 18.08.2015 for College Education Employees Transfers. Collegiate Education – Guidelines for transfer of employees in Collegiate Education Department for the year 2015-16 – Orders – Issued. 1) From the CCE, A.P., Hyd. Lr.No.200/Ser.II-A/2015, dt.23-05-2015. AP State Government has extended the due date for (10) days beyond 15-08-2015 for smooth completion of transfers in Collegiate Education Department as per guidelines. The Commissioner of Collegiate Education will draw schedule for effecting transfers and complete the entire process on or before 25-08-2015. Those who have completed (5) five years or above service in case of Lecturers and (3) three years or above service in case of Principals in a particular station as on 31-07-2015 shall be transferred, if there is any request for the said post or on administrative grounds. Transfers will be effected based on the total entitlement points scored by individual applicants on the criteria as mentioned below. The highest scorer in the respective subject and zone will be given the first choice and so on. 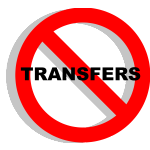 The time period limit is (5) years for spouse transfer cases. The Employees who are now suffering from (a) Cancer (b) Heart Operation (c) Neuro-Surgery (d) Bone T.B. (e) Kidney Transplantation will be awarded 05 points. Employees whose spouse is working in State or Central Government or Public Sector undertaking or Local Body or Aided Institution in the same place opted for transfer or a nearby place. The applicants seeking transfer under this category shall produce a certificate issued by the Head of the Office where the spouse is working in proof of the claim. The following lists shall be notified in the Website of the Department concerned. (i) The list of names of the persons who applied for transfer with total of entitlement points in descending order. (ii) Subject, college and zone-wise clear vacancy position and the list of posts where persons have been working for (5) years or more. Download AP Collegiate Education Employees Transfer Guidelines G.O Rt.No.404 Dated 18.08.2015 for more information.